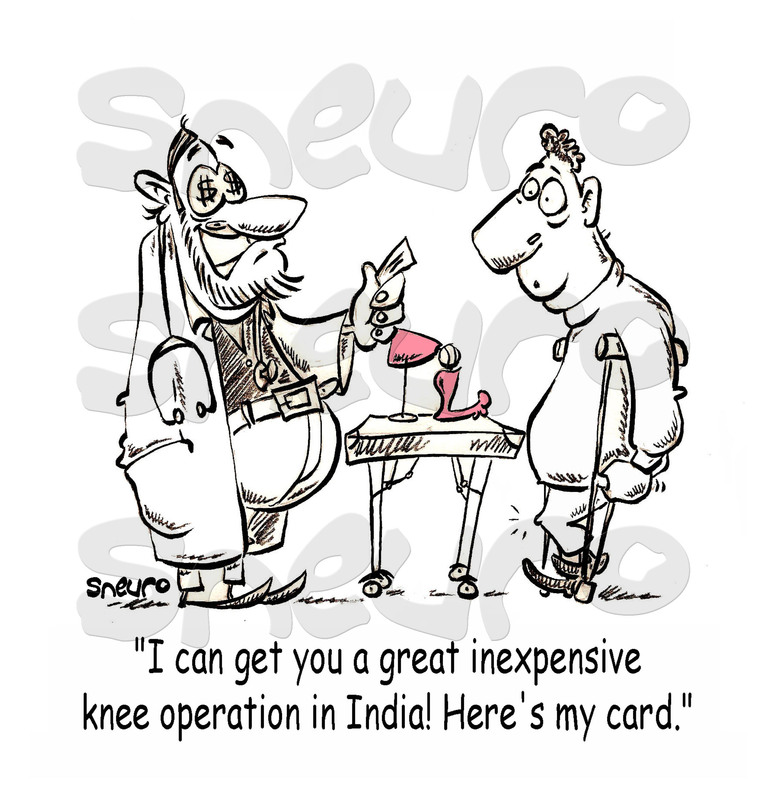 I can get you an inexpensive knee operation in India! Tired of waiting over a year for elective surgery. If your inclined to travel anywhere to speed up the process, surgeons from as far as India or Cuba will do the job there for a fraction of the cost here. Many people have received treatments and surgeries abroad without a hitch, but some came back with horror stories. Ill buyer beware.